Schools all across the country are trying to do whatever possible to keep students safe — especially in situations where a shooter is trying to enter into a classroom. To help keep students safe in the Viborg-Hurley Schools, the Viborg and Hurley Fire Departments donated cut pieces of their old, decommissioned hoses to use as “safety sleeves. ”Basically, you slide a 1 foot-long piece of hose over a door closure arm mechanism. 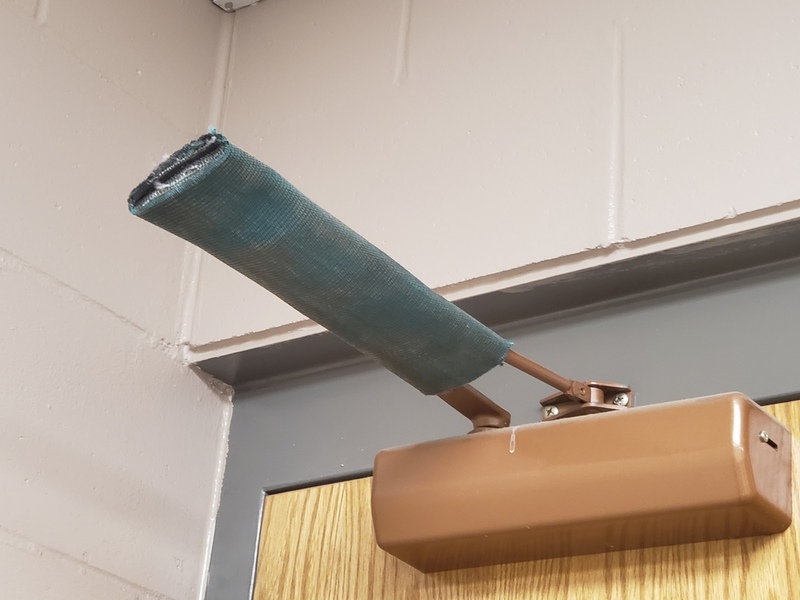 The hose is strong enough to prevent someone from opening the door.” The hose will not be left on the arm during the day for fire code and ADA reasons, but in an emergency situation, like a lockdown or a school shooter, the hose can quickly be placed over the door closure arms. Thank you again to both of our local fire departments for their donation and everything else they have done to help us keep our students safe in the case of an emergency.